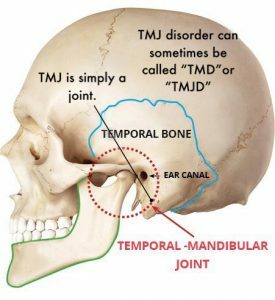 First, it is important to note the umbrella term that is used to cover all problems relating to TMJ is actually called TMD. TMD is the acronym for Temporomandibular Disorders. So technically, you would not have TMJ. You would have TMD and you would need a mouth guard to treat your TMJ. But you didn’t come here for a lesson in medical terminology. 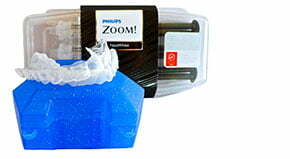 You’re having jaw pain and you are looking for the best mouth guard for TMJ (Ahem, TMD). There are multiple reasons why TMJ disorders can occur. A dentist can properly diagnose you by listening and feeling your jaw for clicking and popping. An examination typically involves having you open and close your mouth. The dentist will observe the range of motion in your jaw. They will also feel areas of your jaw by pressing on certain points. A CT scan may also show that you have TMJD by providing detailed images of the bones and joints. An MRI can show disk problems or abnormalities. During a bruxing session, the teeth can emit forces up to 6x more than normal chewing. The term “TMJ syndrome” has only been around since 1934. There is a lot that is unknown about this disorder. There are some great community support groups for TMD online that have real people discussing their real stories and sharing their journey through what can be a very difficult disorder. A mouth guard is the most common solution prescribed for TMD. The purpose of a mouth guard is to protect the TMJ discs from dysfunctional forces that may lead to inflammation or permanent damage. A TMJ mouth guard can also improve jaw-muscle function and relieve associated pain by creating a stable balanced occlusion. Non occluding splints are non-complex appliances. These are sometimes called simple splints. You can purchase non occluding splints online at a fraction of the dental office cost. In many cases, a non occluding splint will work to provide the relief you need and prevent TMJD from worsening. 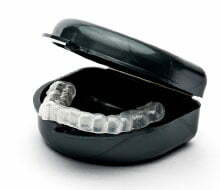 Do not continue to wear a night guard appliance/splint if symptoms get worse or do not improve. A reputable night guard lab online should have a great return policy so that you can return the appliance if it is not working for you. Sometimes an occluding appliance will have a better result or if you have alignment issues, you may need a repositioning appliance. Both of these type must be fabricated through a dental office or a TMJ specialist. There is little to no argument that a conservative approach (avoiding surgery and trying the splint first) is the best course of action. How does a mouth guard for TMJ help? It prevents the teeth from making direct contact with each other. The disruption in contact forces the teeth to take a much needed break from each other and in turn allows the condyles to sit in a centric position. It is useful for masticatory muscle pain relief. A TMJ mouth guard is typically fabricated out of hard acrylic or acrylic-like material. To date, there is no known cure for TMJ. Even surgery is not guaranteed. Check the TMJ discussion boards in the community TMJ forums online to read some real life stories and experiences with jaw surgery for TMJ. In some cases it has worked beautifully. In other cases, it seems to have not worked at all or has made the situation even worse. Do your research if considering surgery! It is treatable (manageable). Treatment includes hot and cold paks, sleeping on the side, eating soft food, avoiding chewing gum, decreasing stress, relaxation techniques and wearing a mouth guard. Even physical activities like moving heavy furniture or weight lifting can aggravate TMJ. Be aware of your actions. Are you clenching or grinding your teeth during the day? Try to keep the jaw relaxed. Non-surgical treatment should always be considered first. Arthroscopy means “to look within the joint”. Small incision instead of large incision. This procedure allows the surgeon to see cartilage and bone. Using small instruments, a video lens and light, the surgeon sees within the jaw joint. Possibly can fix a misalignment issue on the spot (if there is one), has the ability to removes inflamed tissue. Patient can go home same day. Open Joint Surgery involves a cut in the front of the ear to expose jaw joint. Surgery can last one hour to several hours depending on complexity. This type of surgery can reposition slipped cartilage, repair injured tissue, replace entire joint. Do you a TMJ story to share or just want to say hello? We would love to hear from you!